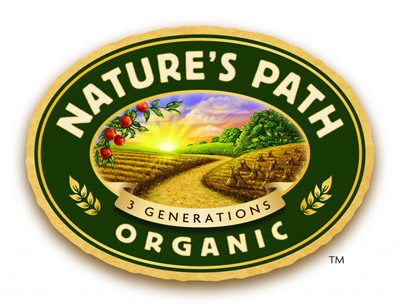 The foremost source for healthy, organic, sustainable products and services with over 20 years of experience in Natural & Organic products distributed in Puerto Rico, Caribbean islands & Central America. Now available FREE for small and midsize businesses everywhere: the exclusive HVC Sustainability Toolkit eBook, bringing together leading-edge best practices used and proven for years by large enterprises, plus exciting new strategies developed only for this platform. HOLISTIC VALUE CHAIN offers the very latest, whether you do it yourself or use Team HOMERA as your guide. Check out the free eBook without delay, and here's to your enduring and profitable transformation. This is the fifth post of the five-part series on Homera's exclusive HVC Toolkit for small and midsize businesses (SMBs), a segment that has long lagged in sustainability adoption and implementation for lack of an easy-to-execute affordable method. In this one, we go over HVC Stakeholders, a way of engaging the 13 audiences with a stake in your business. We present this building block fifth because it takes people to enable the first four and power them to optimal results. This is how. Three months after joining Friends of Champions 12.3, we bring you an update not just of some of the initiatives this marvelous food-waste organization is engaged in, but also a bit of our thinking on what and how to leverage Champions to boost the food-waste movement in our own LatAm region. You'll recall from our November 9th post, when we joined, that 12.3 is the target within Goal 12 of the 17 UN Sustainable Development Goals that seeks to slash food waste around the world at a clip of 50% by 2030. We'll soon be touring the Americas, and championing 12.3 will be on the agenda. Long-awaited innovation platform now available. Use it! Innovation has became embedded in everyone's thinking on sustainability, but has yet to cascade into the daily to-do norm in the minds of the vast majority of senior management teams. Enter a story published last quarter by Network for Business Sustainability. NBS, in essence, picks up where Harvard Business Review left off in its own landmark 2009 study, because while the latter was a thorough look at the innovation breakthrough, it did not provide an operational framework a management team could actually execute. That is the fantastic contribution NBS has gifted the world. At Homera, it has already become ingrained in our own thinking and modeling. Here's what it means to you. Now you can eat all the Tongol you want. Kawakawa, too. You deserve a prize if you can tell the type of fish these species belong to: Alalunga, Bigeye, Atlanticus, Macoyii, Skipjack, Tongol, Dogtooth, Frigate and Kawakawa. Well? Did you pass the seafood connoisseur test? I must admit to some cheating here. Perhaps it's easier if instead of Atlanticus I'd said Blackfin, and Bluefin instead of Macoyii. The one that would have certainly given it away is Albacore instead of Alalunga. And I didn't even mention Yellowfin or its scientific name Albacares. So, did you guess it now?